LIKE ITS BROTHER HELMET, THE MEN’S MONTANE, THE LURE IS BUILT WITH A FEATHER-LIGHT WHILE ALSO OFFERING EXCEPTIONAL FIT AND CRUCIAL FUNCTIONS LIKE ADJUSTABLE THERMOSTAT CONTROL VENTING. Like its brother helmet, the men’s Montane, the Lure is built with a feather-light while also offering exceptional fit and crucial functions like adjustable Thermostat Control venting. Plush ear pads and playful color palette add extra style points to this all-terrain performer. 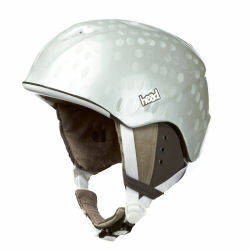 Like its brother helmet, the men’s Montane, the Lure is armed with a feather-light fit and crucial all-mountain details, but plush earpads and a discerning color palette give the Lure a leg up on other women’s helmets like it. 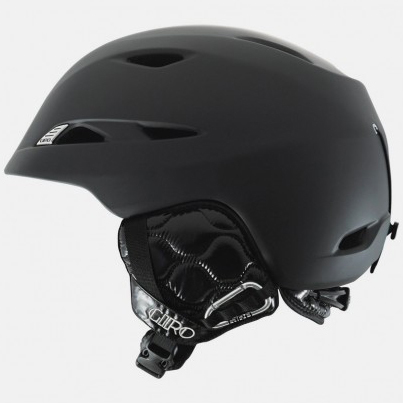 Our in-mold construction process fuses the helmet’s outer shell with its impact-absorbing EPS liner during the molding process, making the liner literally a part of the helmet. This fusion process reinforces areas around vents and ribs, creating a one-piece ‘exoskeleton’ that allows the helmet to be lighter, more durable, and better ventilated than traditional designs. 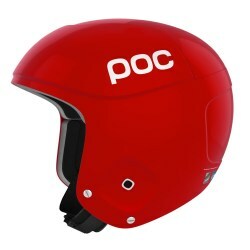 Thermostat ventilation control allows you to custom tune airflow instantly with a simple, low profile control button on the outside of the helmet. No other system is faster or easier to adjust, and nothing is more effective at keeping you comfortable. Our Stack Vent was developed based on research showing the majority of the warm air that can cause fogging exhausts from the center top vent of the goggle. 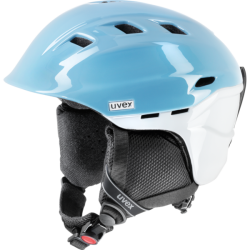 Aligning the Stack Vent in the helmet with the center vent of your goggles helps to keep them clear and fog free while maintaining total helmet and goggle integration. 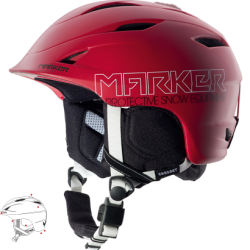 Although there is no difference between male and female head shapes other than a smaller average size, we offer women’s specific models to keep up with the fashion forward kit found on the mountain. Finishing details and a sophisticated color palette set these models apart.